During the summers of 2014 and 2015, Jennifer Rice participated in several short-term mission teams offered through the Orthodox Christian Mission Center to better discern her call to serve the Church as a missionary. She had the opportunity to engage in the pioneering work of the first music ministry team to offer catechetical instruction on the hymns of the Church to the newly Orthodox faithful of Guatemala. Jennifer is appreciative of these opportunities as well as the blessing to continue to now also serve in a long-term capacity by drawing on her experience and love for singing the sacred hymns of the Church. Jennifer is a graduate of the Master of Theological Studies program at Hellenic College Holy Cross Greek Orthodox School of Theology in Brookline, Massachusetts, where she also completed coursework towards a certificate from the Boston Theological Institute in Missions and Ecumenism. In addition to her studies, Jennifer also served as President of the Missions Committee and assisted in the Office of Student Life. Jennifer also holds a Master of Science degree in Higher Education from Drexel University, as well as a Multiple Subject Teaching Credential and a Bachelors of Art in Studio Art from California State University, Sacramento. 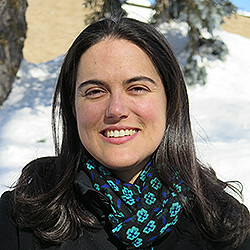 Prior to attending Holy Cross School of Theology, Jennifer assisted in many facets of the youth and young adult ministries and was involved in the chanting of the services at St. Anna Greek Orthodox Church in Roseville, California in addition to her responsibilities as a high school English teacher. Jennifer is currently seeking partners to join her in prayer and to thoughtfully consider offering regular financial support as she serves the Church in Guatemala. What will help Jennifer the most are your prayers and financial partners who feel as committed as she feels to the ministry in Guatemala. A support team strongly dedicated to this mission will enable her to continue the Church’s vital work in Guatemala well into the future.